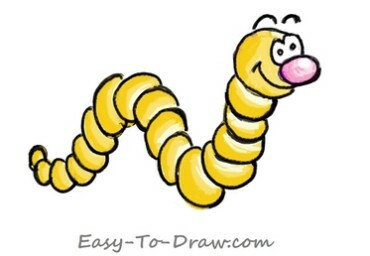 The term worm is used in everyday language to describe many different distantly related animals that typically have a long cylindrical tube-like body and no limbs. Worms vary in size from microscopic to over 1 metre (3.3 ft) in length for marine polychaete worms (bristle worms), 6.7 metres (22 ft) for the African giant earthworm, Microchaetus, and 58 metres (190 ft) for the marine nemertean worm (bootlace worm), Lineus longissimus. Various types of worm occupy a small variety of parasitic niches, living inside the bodies of other animals. Free-living worm species do not live on land, but instead live in marine or freshwater environments, or underground by burrowing. 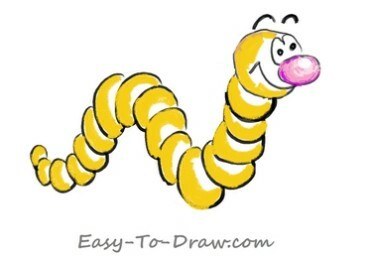 In biology, “worm” refers to an obsolete taxon (vermes) used by Carolus Linnaeus and Jean-Baptiste Lamarck for all non-arthropod invertebrate animals, and stems from the Old English word wyrm. 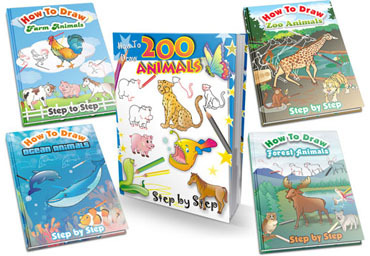 Most animals called “worms” are invertebrates, but the term is also used for the amphibian caecilians and the slow worm Anguis, a legless burrowing lizard. Invertebrate animals commonly called “worms” include annelids (earthworms), nematodes (roundworms), platyhelminthes (flatworms), marine polychaete worms (bristle worms), marine nemertean worms (“bootlace worms”), marine Chaetognatha (arrow worms), priapulid worms, and insect larvae such as grubs and maggots. Worms may also be called helminths, particularly in medical terminology when referring to parasitic worms, especially the Nematoda (roundworms) and Cestoda (tapeworms) which reside in the intestines of their host. When an animal or human is said to “have worms”, it means that it is infested with parasitic worms, typically roundworms or tapeworms. 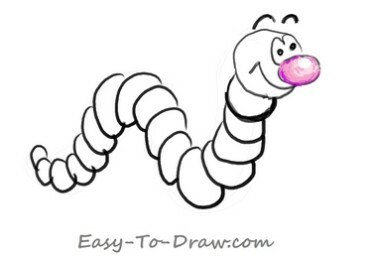 Here are the steps to draw Cartoon Worm. Enjoy! 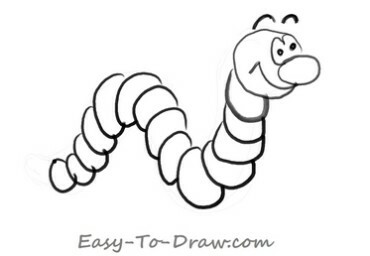 Step 1: Draw a head of the worm with two eyes, one nose, one mouth and two eyebrows. 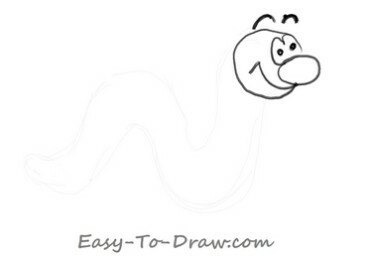 Step 2: Draw the body of the worm with some circles. Step 3: Color the nose pink. Step 4: Color a part of the body yellow. Step 5: Color the other part of the body light yellow.